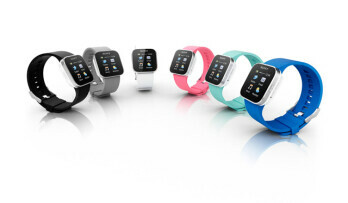 The new Sony SmartWatch is a smart phone on your wrist. Sound too good to be true? It's not. Sony's SmartWatch is capable of sending and receiving emails, updating your social network statuses and text messaging. The SmartWatch is compatible to any Google Android 2.1+ device and easily connects by way of a free downloadable app. The watch's screen is a 1.3 inch OLED display and is about 0.3 inches thick. It's flexible rubber strap is very comfortable and easy to wear. The strap is available in 6 stylish colors. Have an Apple device and your frustrated because this thing is so cool? Dont be there are similar devices in development and will be coming soon like this.